Nuevo Living Henri coffee table represents contemporary design at its best. A simple, rectangular glass top resting lightly on sculpturally dynamic legs of high polish stainless steel, the Henri embodies art and function. 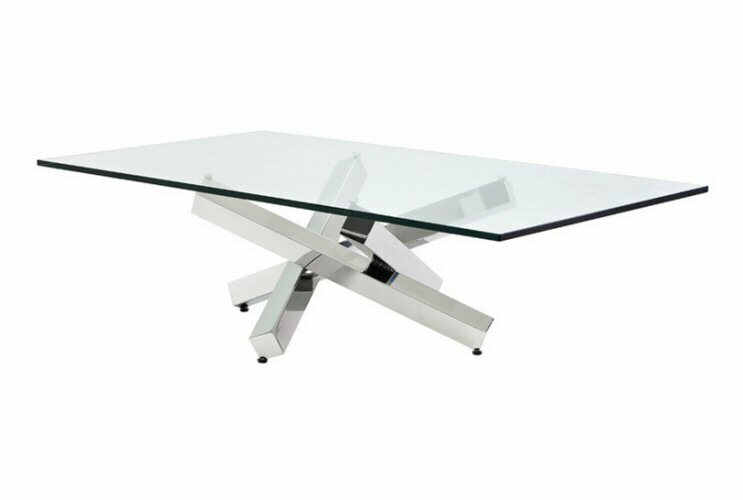 The Henri coffee table is available exclusively in high polish stainless steel with ½ inch clear tempered glass top.